In 1935, Swiss writer Robert Crottet, suffering from tuberculosis, began having vivid and powerful dreams of bright-eyed creatures that called to him from the enchanted northern forests of Finland. So moved by his dreamworld visitors, Crottet recovers from his sickbed and journeys north to find them. His travels lead him to the Skolt Sámi community where he meets the magical Kaisa, a storyteller and seer. Capturing Kaisa’s legends and stories, Crottet publishes his first book, Enchanted Forest. When war breaks out, he hears news that the Skolt Sámi people have been displaced by invading Russians, and he launches a desperate campaign across Europe to bring attention to their plight. 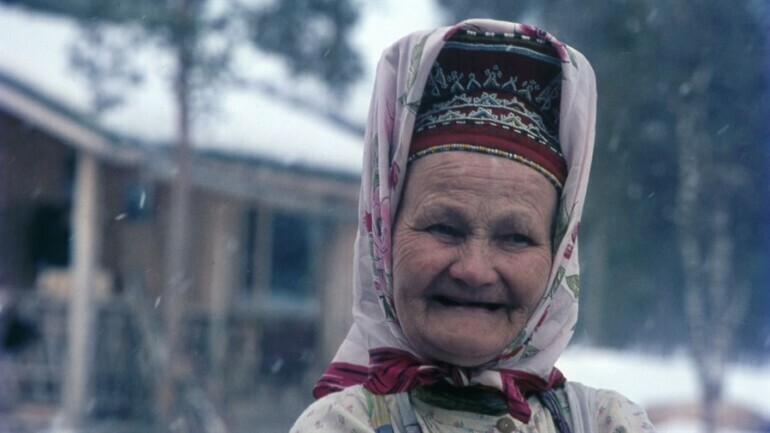 With incredible and rare archival footage and animation, award-winning Sámi filmmaker Katja Gauriloff beautifully weaves the story of the lifelong friendship between Crottet and her great-grandmother Kaisa together with Skolt Sámi legends and the tragedies of war.